On the good ship Lollipop. It’s a sweet trip to the candy shop. Escape it all. It’s just irrelevant. 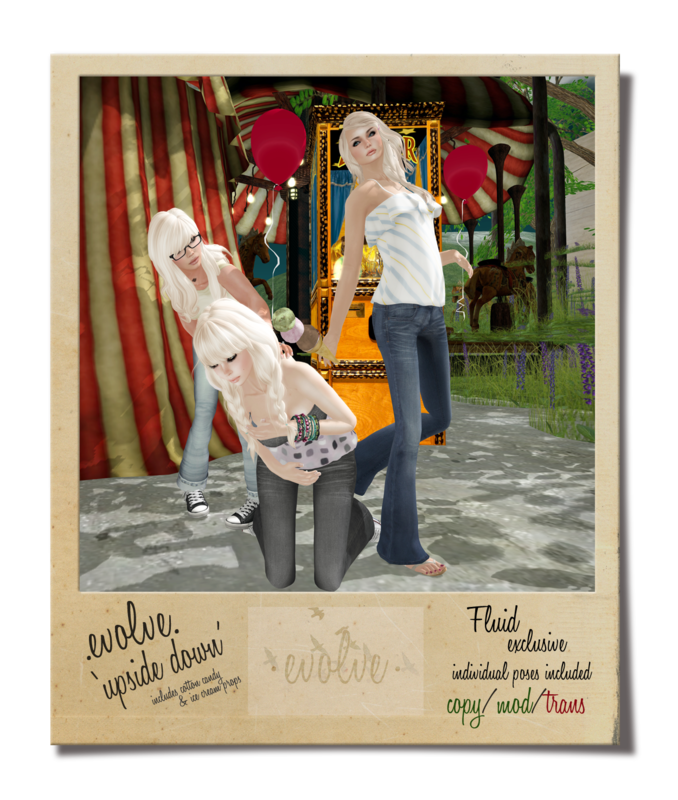 I’ve got some new pretties from .evolve.! The polka dotted, sashed .evolve.blair.sundress. is available in 12 color options and 2 color packs. It comes in 5 different sizes with 2 alpha layers. I’ve released .evolve.upside down. for Fluid today as well. This is a 3 person amusement park themed pose. It comes with cotton candy and ice cream cone props (a copy/mod version and a mod/trans version). 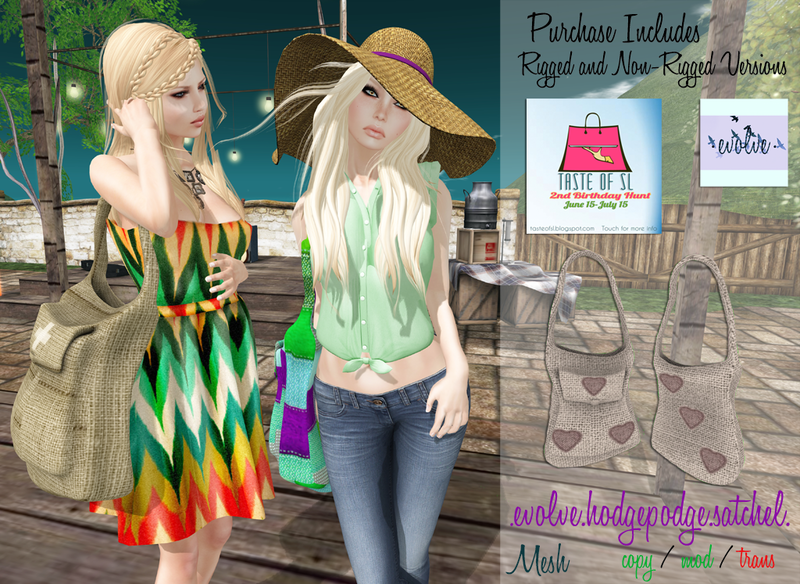 The Taste of Second Life 2nd year birthday hunt has begun and I’m excited to be a part of it! Below is a picture of the .evolve. hunt gift! Come by .evolve. and do a little bit of hunting!